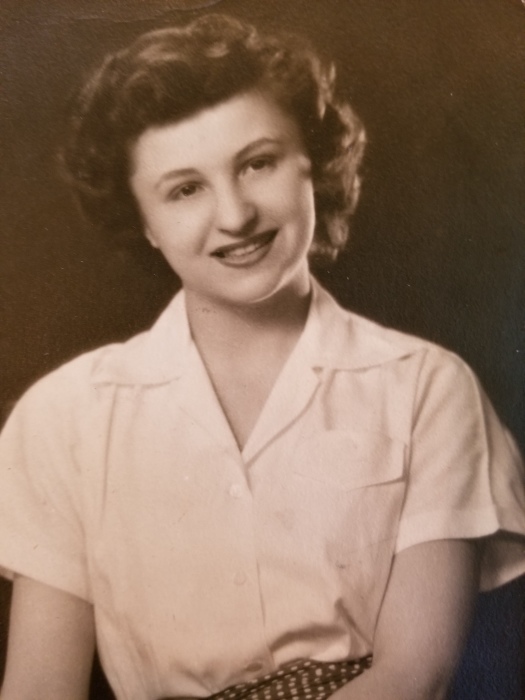 Obituary for Alfreda "Fritz" M. Black | Kaniewski Funeral Homes, Inc.
Alfreda Marciann Black (nee Goraleski), known as Fritz to everyone she met, and proudly 93-3/4 years old, died peacefully at her home on Thursday, January 31. She was the devoted wife of Henry (Bud) Black, Jr., and loving mother and best friend to her three daughters. She is survived by her cherished children Barbara (Stephen) Fredman, Granger, IN, Joan (Martin) Dooley, Timnath, CO, and Marianne Black, Indianapolis, IN. Fritz is also survived by her dearly loved grandsons, Nicholas Fredman (Austin, TX), Henry Black Dooley (Venice Beach, CA), and Matthew Dooley (Fort Collins, CO). Fritz was born on April 25, 1925 to Alex and Nathalie (Czerniak) Goraleski in Chicago and grew up in the south side neighborhood of Bridgeport. 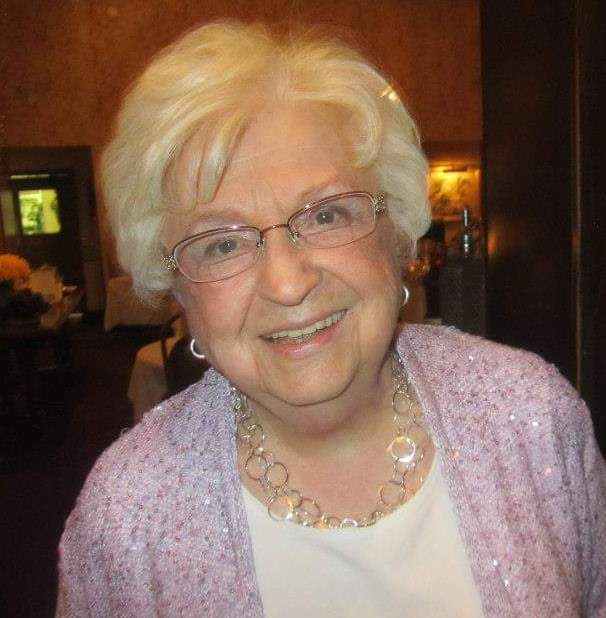 She graduated in 1943 from St. Mary’s of Perpetual Help High School, where she was class president, and began her professional work career immediately following, working for several Chicago-based companies as a secretary, executive assistant and bookkeeper. Fritz met Bud Black in 1954 and they were married in 1955. They moved to South Bend in 1964 and made it their home. During their 54 loving years together, they enjoyed raising their children, traveling throughout the country and the world – together, and with their children, family members and friends. With a quick wit and sparkling sense of humor, Fritz was known for lighting up the room with her quips and infectious laughter, endearing her to everyone she met. She enjoyed innumerable good times with her favorite social group, the "Wednesday Walkers and Lunchers." Fritz was an ardent Notre Dame sports fan and avid solver of crossword puzzles. She was always interested in hearing of the new adventures, life changes, and successes of the people she cared about. But her greatest joy came from spending time in the company of her family, chatting, playing Scrabble or Rummikub, and delighting in the annual family vacations they spent together at Lake Michigan. She was preceded in death by her beloved husband Bud, her cherished sisters Laura Klaslo and Marie Kulpa, as well as many treasured extended family members and friends, whom she always remembered with deep fondness. In addition to her immediate family, Fritz is survived by a large, loving extended family including nieces Ruth, Janet, Karen and Michelle; nephew David; her devoted in-laws Gordon Black, Elaine Schmucker, Mary Ellen (James) Cain, and Elizabeth (Ron) Smith; nieces Mary Kay, Kathy, Vicky, and Missy; nephews Henry, James, Steve, Gary, Chris, and Jonathan; many beloved great nieces and great nephews, dear cousins, longtime family friends and adopted family members. Visitation will be held at Little Flower Catholic Church, South Bend, IN, on February 7 from 11:00am until 1:00 pm, followed immediately by a Mass of Christian Burial at 1:00 pm. Interment will take place at Resurrection Cemetery, Justice, IL, at a later date. In lieu of flowers, memorials may be made to the National Alliance on Mental Illness (NAMI), The Nature Conservancy of Indiana, or any charity special to you.